Save a City rampant with crime and corruption. Wrestle control of each City District from corrupt police chiefs and stem the tide of crime by building the best criminal investigation team and facilities the world has seen. Take control of Rouxville’s police department and build a team of dedicated csi professionals in this fascinating hidden object game, filled with real forensic scientist experiments. Red, the city’s top woman detective, will be at your side while you uncover the mystery of a never-ending series of brutal crimes. 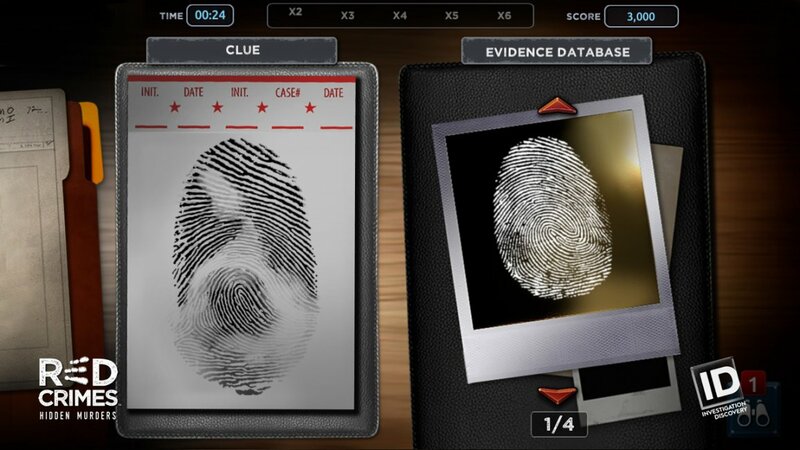 Analyse clues, build your criminal case, follow new leads and bring the villains to justice. • Investigate stunning 3D hidden object crime scenes and seek essential clues. • Examine clues and process blood, bullets, marks and other evidence found. • Perform realistic 3D autopsies to discover the cause of death. • Build and train the best team of police force professionals. • Manage and upgrade your police station to restore law and order in Rouxville. • Arrest the criminal minds and bring them to justice. This investigation game is brought to you by Investigation Discovery, published by iEntertainment Network, and developed by Gamaga, the developers behind Banana Kong and Operate Now: Hospital. ○ New tutorial for the Police Station and Protection Slot features. ○ New tutorial for the Archive system. ○ New version of the Score screen. ○ Fixed several input issues. ○ Fixed issues with the Match task. ○ Fixed map issues with logging out.